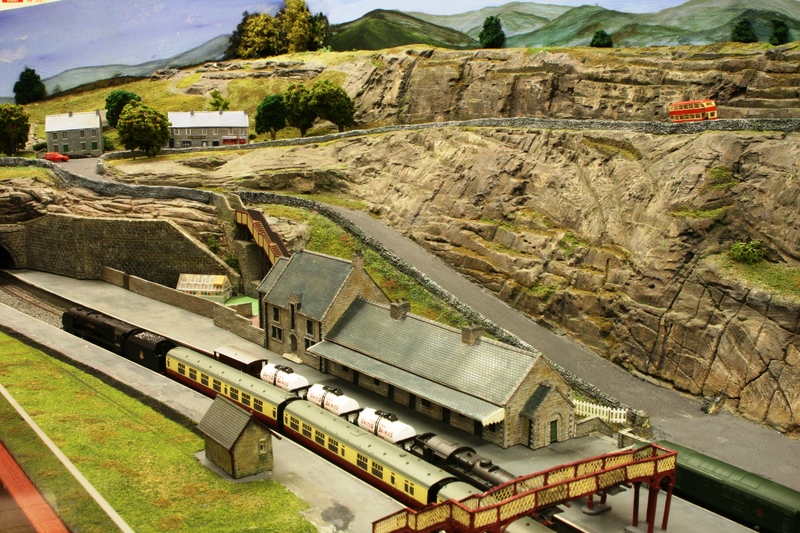 Hazelwood Junction is built to N gauge so that members can use ready-to-run stock. 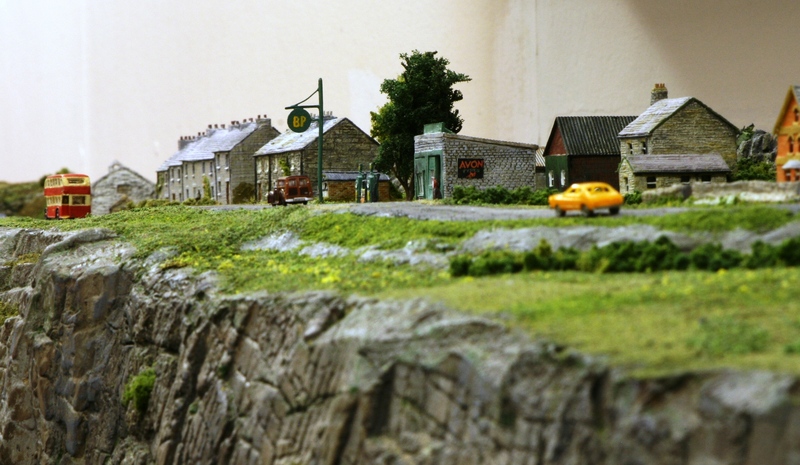 The layout was started in 2006 and is based on the line from Hazel Grove through Middlewood to Disley, New Mills Central and Hayfield Junction. Running sessions are usually on the first Wednesday of each month. Helpers are always welcome. 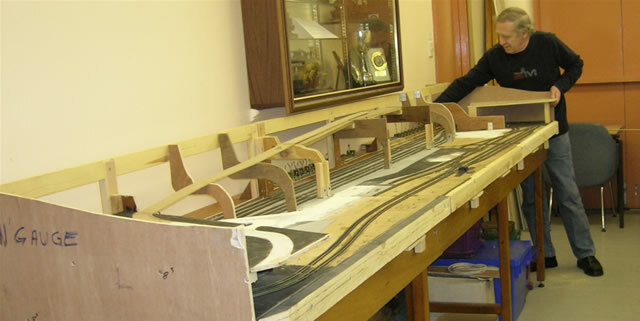 Since this photo in February 2007 the layout has progressed rapidly under the guidance of group leader Wally Pugh (pictured). 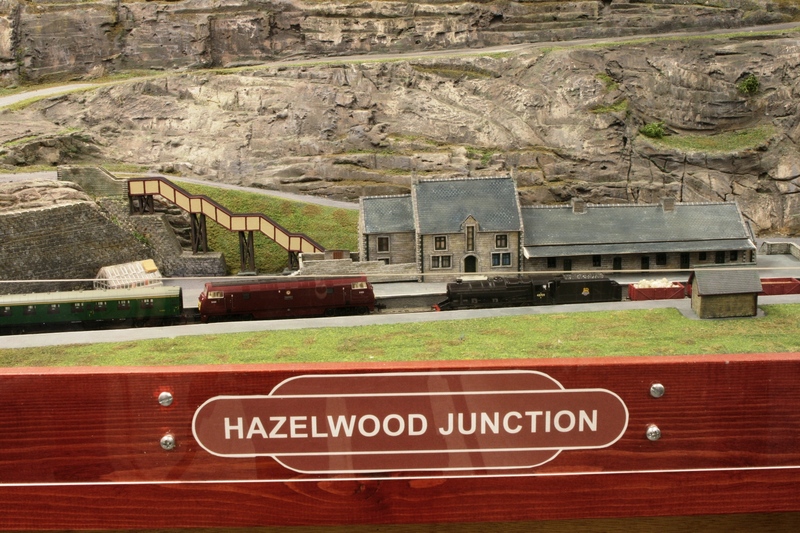 At the monthly meeting in August 2007, Hazelwood Junction saw its first train able to complete a circuit. 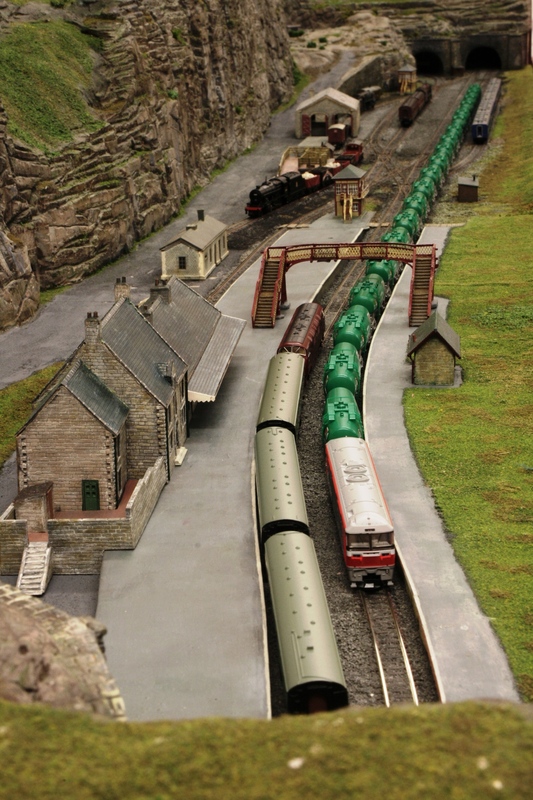 The layout’s electrician, Frank Gordon, reckons that he has used 3855 feet of wire and soldered about 2000 joints (some more than once). 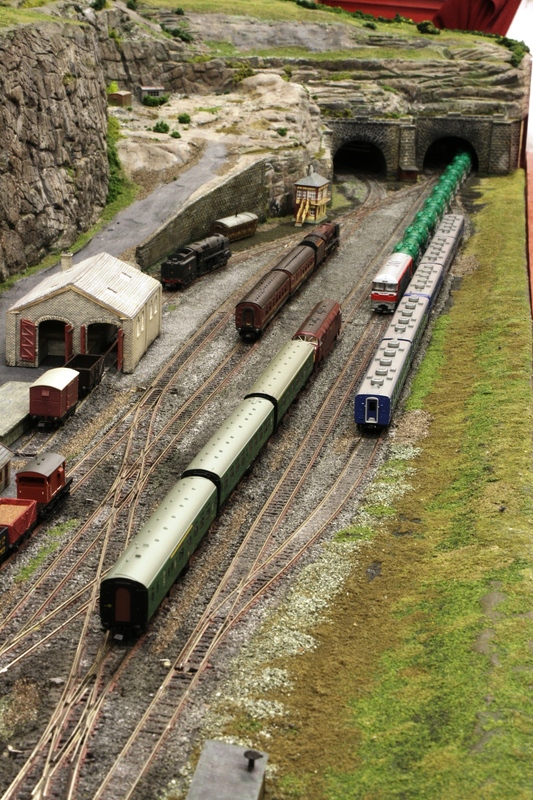 There are 3 double slips and 19 other points on the layout operated by 22 point motors. These in turn operate 22 microswitches, 9 add-on switches and 14 relays. 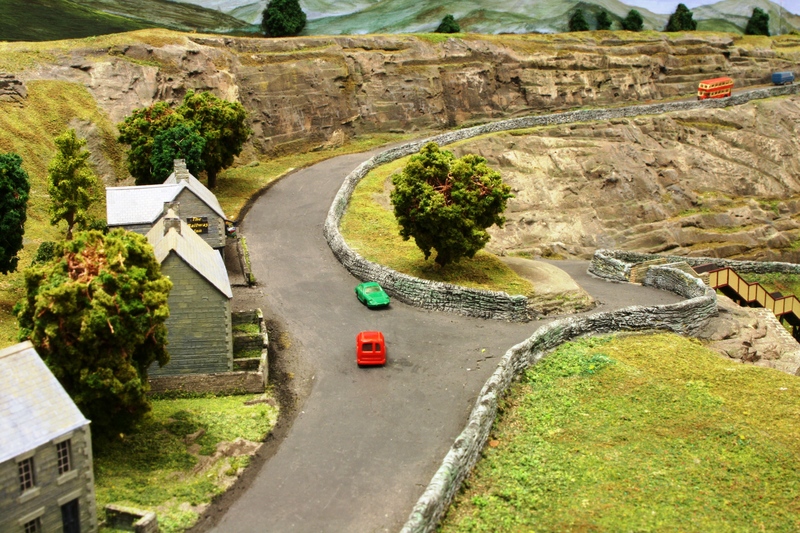 The relays switch the track wiring to suit the setting of the points. 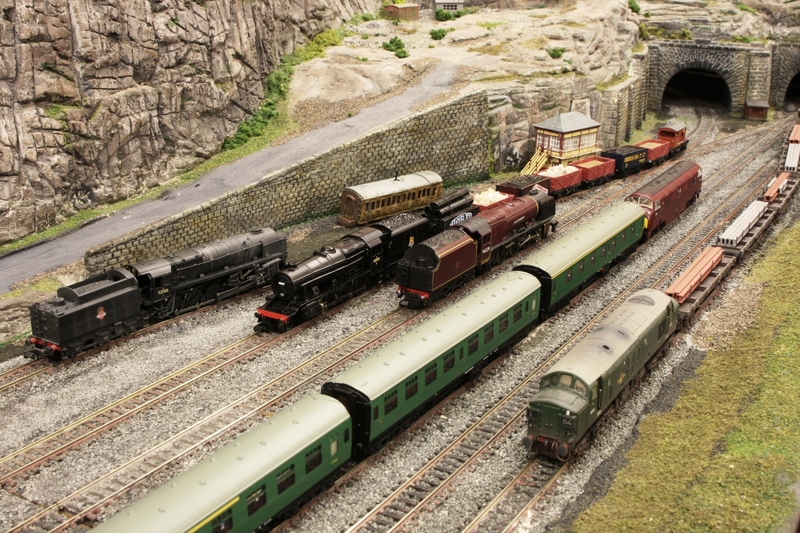 Five controllers can keep plenty of locos in operation. Finally there are 13 section isolation switches and 12 push buttons (to release trains in the fiddle yard) and to assist the operators are 59 LEDs: 13 red for live sections, 12 for indication of which controller is in charge of sections where track possession can change and 34 which show which way points are set. 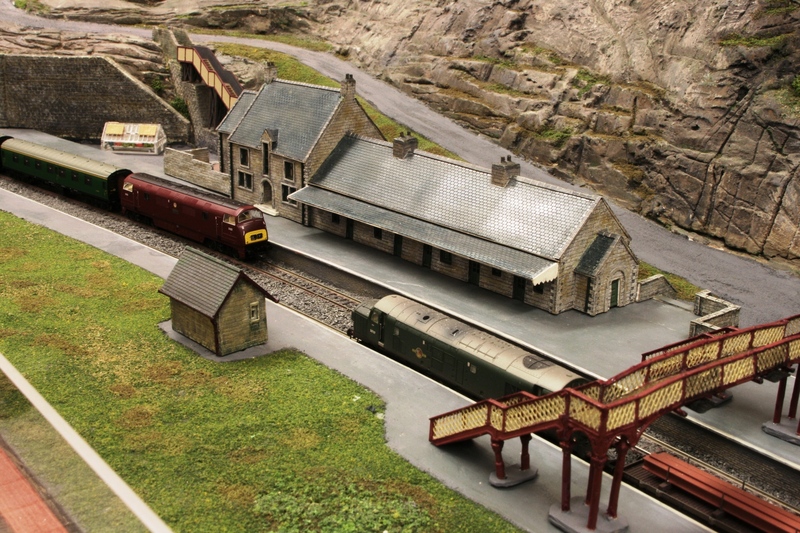 At the running session in December 2008, John Sherratt’s photograph shows a bird’s eye view. 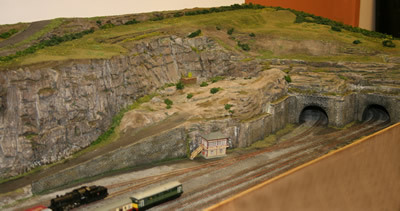 The cliffs hide the storage loops and point motors. 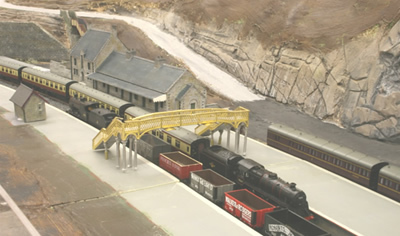 Showing the footbridge and the station building, which is a mirror image of the real building at New Mills. The sandstone cliff scales about 100 metres long and 20-25 metres high.The cliffs actually exist at the Sett Valley Trail, New Mills, Derbyshire. Construction uses wire mesh, kingspan foam, polystyrene and plaster bandage, all covered with about 2cm of plaster. Working from photographs taken of the cliffs, much of this plaster is cut away to form the shape and structure of the rock walls. 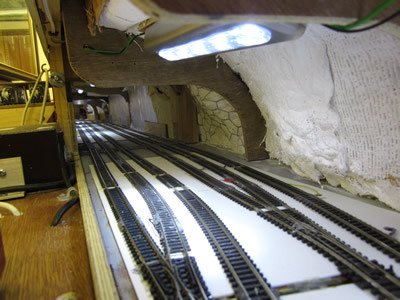 Track ballasting is now complete. 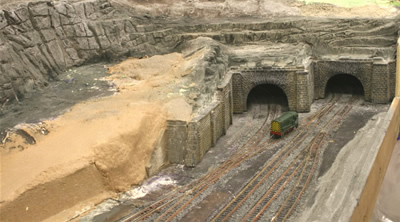 The ballast was bought from Geo Scenics, using stone from the area being modelled. The ballast was loose laid and then fixed in place with the usual mixture of dilute pva with a drop of washing up liquid. 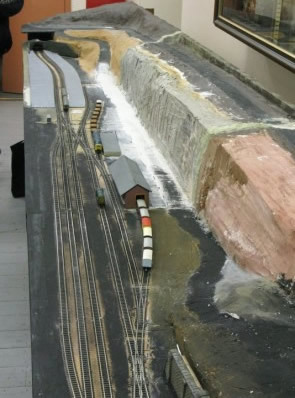 So that moving parts of points were not clogged up a ready mix was used, laying about ten stones at a time! 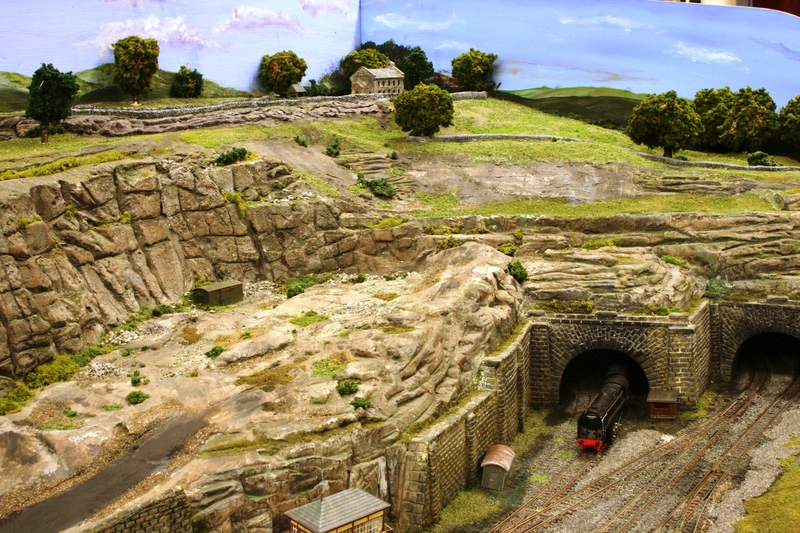 The layout is looking much more complete, although there are still lots of details to be added. 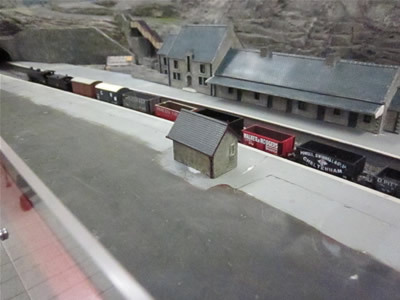 The station and platforms are still to be finished, the signal boxes and goods shed to be erected, the roads surfaced and houses built. 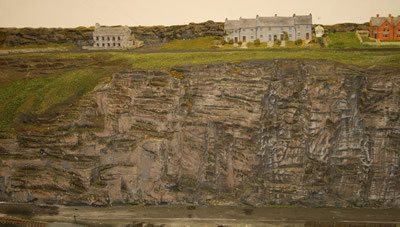 The cliffs are now painted and the next step is for grass, bushes and trees to “grow”. 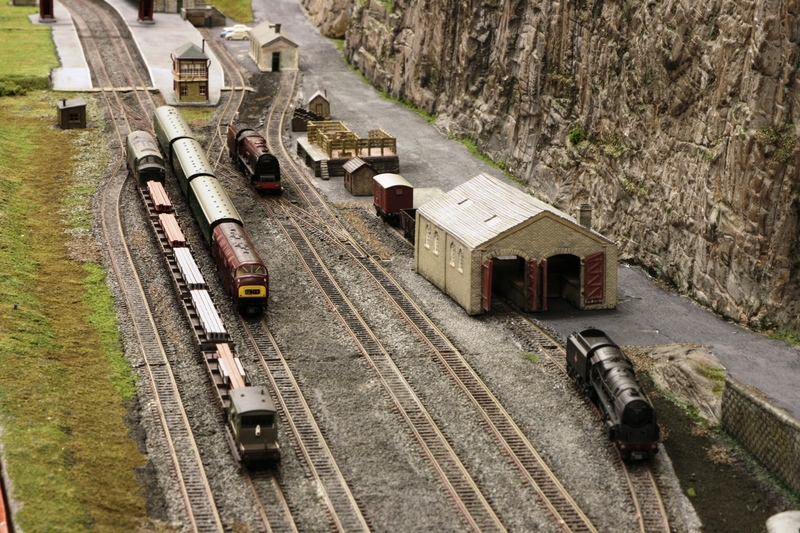 Also needed are working semaphore signals, two on the station platforms, a gantry near the tunnels and a two arm signal for the passing loop on the main line. The yard may have ground signals at a later date. 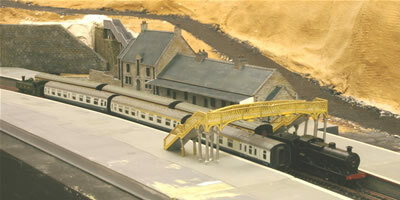 The group members are very friendly and welcome anyone with an interest in N gauge. 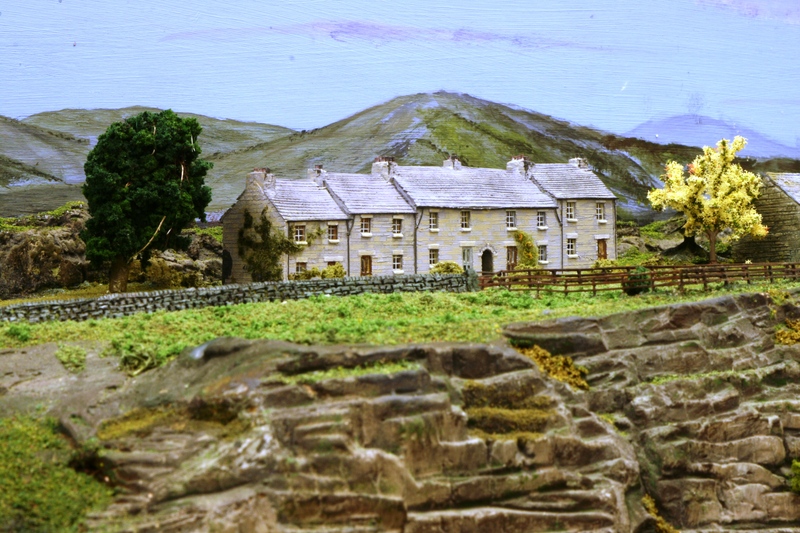 If you can also do a bit of modelling, or want to learn how to, so much the better. 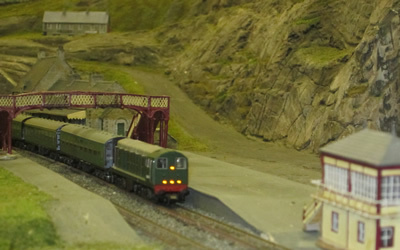 We were having a number of track problems in the fiddle yard. 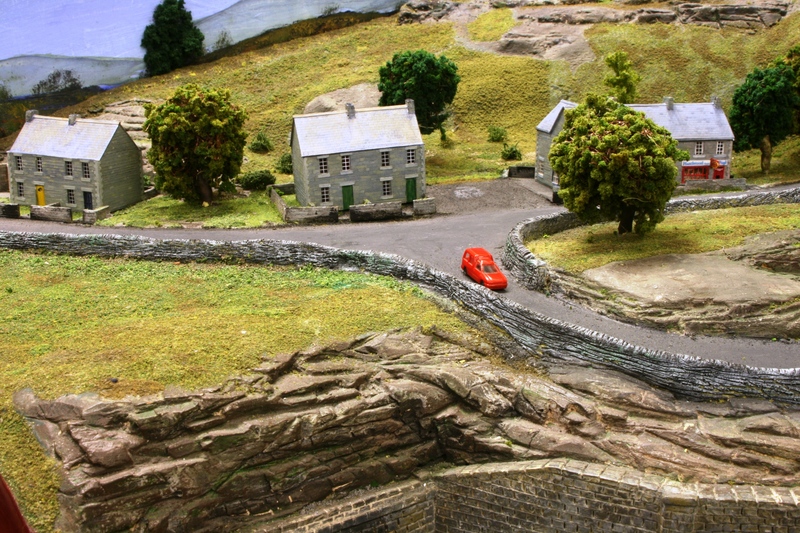 Some of the points were too close to the ends of curves, causing derailments. 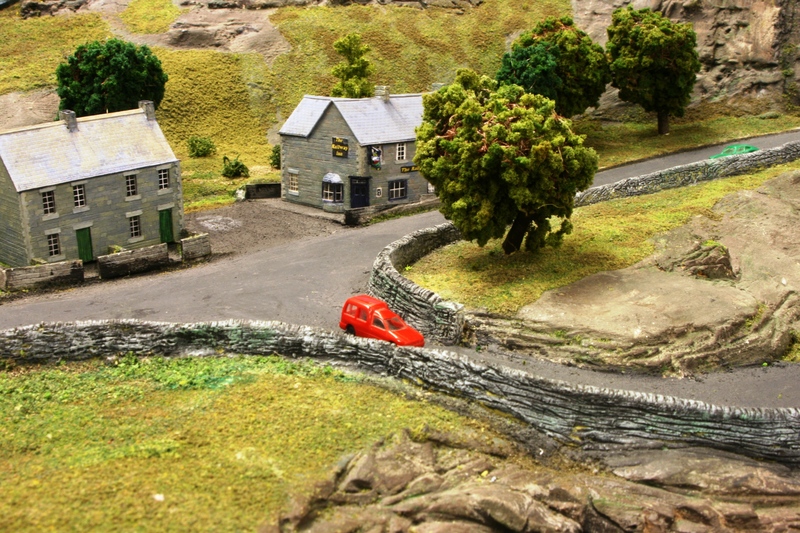 The answer was to lift and move the failing points and point motors, and re-lay a lot of fiddle yard track. 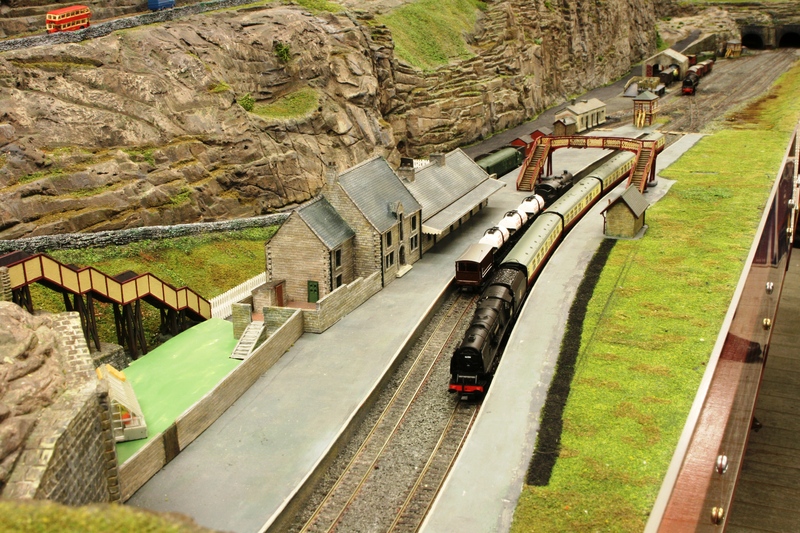 This had to be completed in time for Hazelwood’s first public viewing at the Northern Modelling Exhibition at EventCity in March 2013. At this there were a few teething problems, nothing too serious, and nothing that our public noticed, but things which needed attention. 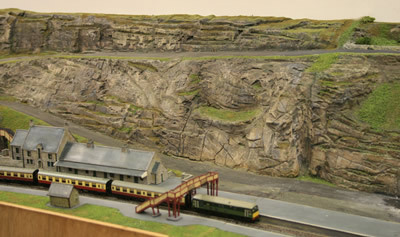 One was a point failure in the fiddle yard caused by a soldered joint break on some point work which we had relaid before going to EventCity. We lost the use of one fiddle road because of this, but survived without it. Back at Dean Hall this only took a minute to fix, but we had to turn the layout board upside down to get at it. 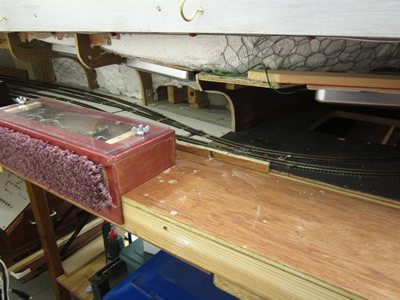 At the back of the layout are wooden boxes covering the point motors and switch rods. These were found to be too high and too wide, not leaving enough room for operators’ hands to load stock. To make more room to reach the fiddle yards, the protective boxes over the point motors were lowered and shortened as much as possible. This has now given much better access to the fiddle yards. 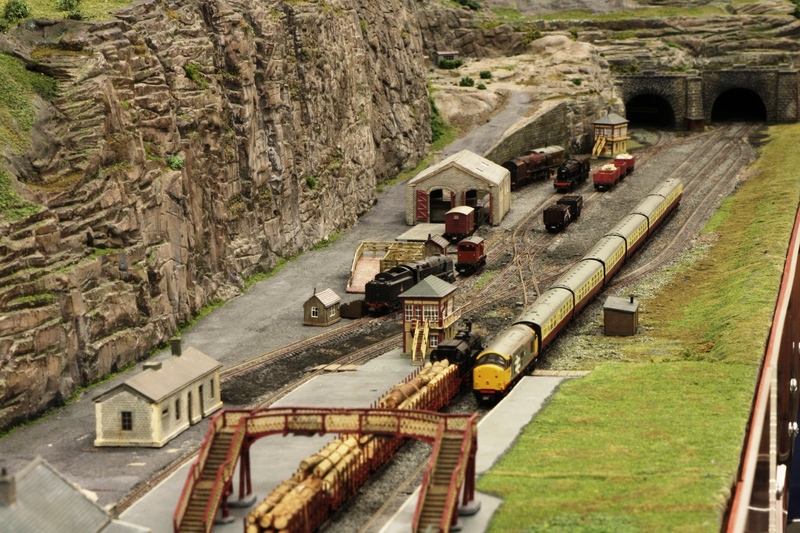 Another problem was a lack of lighting above the fiddle yards, in the tunnels under the hills. We had to put stock on the track by torchlight, it was so dark. 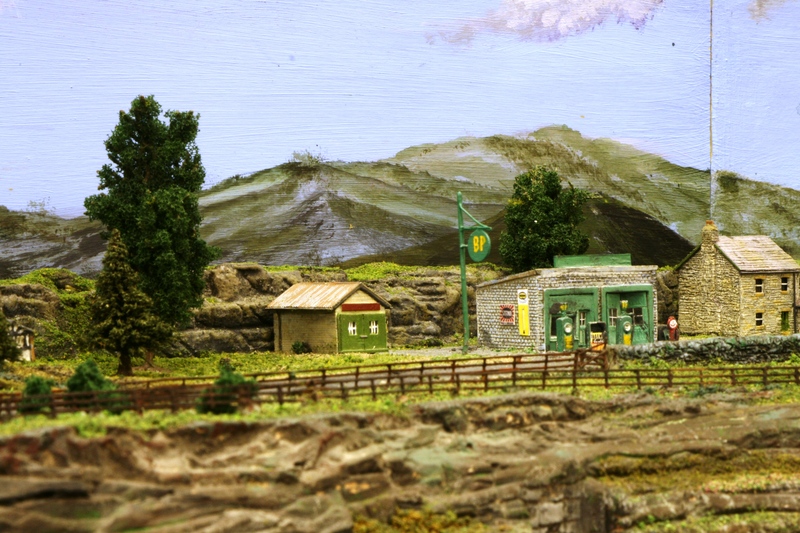 Putting N gauge stock on the track is not easy in the light, in the dark it is practically impossible. The problem here was not to lose the space we had just made by filling it with lights. Our answer came from a visit to Poundland which sells battery operated lights for use under kitchen wall cupboards. These consist of 5 clear LEDs normally powered from 3 AAA batteries in each unit. After modification they are now wired in groups of 3 units, each group powered by a 12 V DC supply. 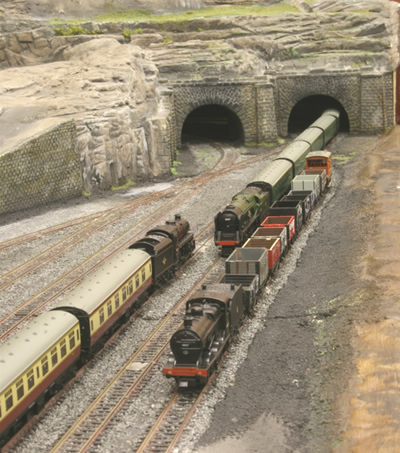 At EventCity Hazelwood Junction had no lighting on the front of the layout, but hall lighting is not really good enough to light a layout properly. 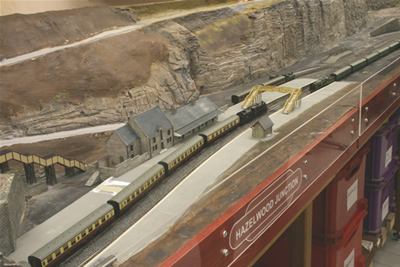 The frame on which Hazelwood sits is from an MMRS layout of many years ago. 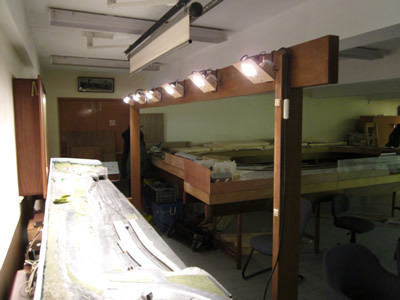 This layout had a lighting beam and upright supports fitted to the front. Thankfully these had not been thrown away, so this beam is now being used for our new lighting. No light fittings were found for this set up and new units have been made. Six lamp holders have been designed to hold GU10 50w lamps. All of the units have been wired up in a daisy chain so that they can be connected up in any order. At the running session a Class 20 diesel with working headlights made an impressive sight. 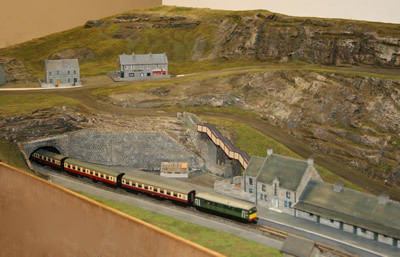 The layout is showing more greenery and houses have appeared at the upper level. Showing the latest scenic updates. 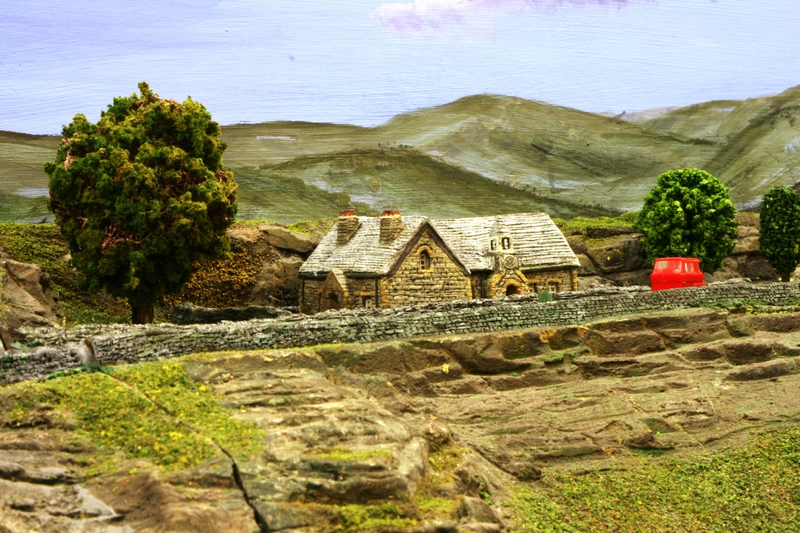 …… and the middle …..
More buildings have been added recently, mainly thanks to Ian Thwaites who usually models in a much larger scale.